Apple unveiled the new MacBook Pro with Touch Bar last week. During the Apple keynote we saw some nice demos of how the touch strip inserted into the new ultra-thin laptops will work, but this still doesn’t seem to have convinced all Mac users. Joanna Stern of WSJ says the Touch Bar with custom shortcuts is cool to use but also feels a bit like a gimmick. CNET had the opportunity to talk with Apple’s head of design, Jony Ive, who explained a bit about the design choice of the MacBook Pro. So our point of departure was to see if there was a way of designing a new input that really could be the best of both of those different worlds. To be able to have something that was contextually specific and adaptable, and also something that was mechanical and fixed, because there’s truly value in also having a predictable and complete set of fixed input mechanisms. Clearly, the function row seemed a good opportunity to explore. The prototype Ive and his team created roughly two years ago was exploring the “idea of larger, haptic-rich trackpads – what you now see as the Touch Bar combined with a keyboard”, Ive explains. 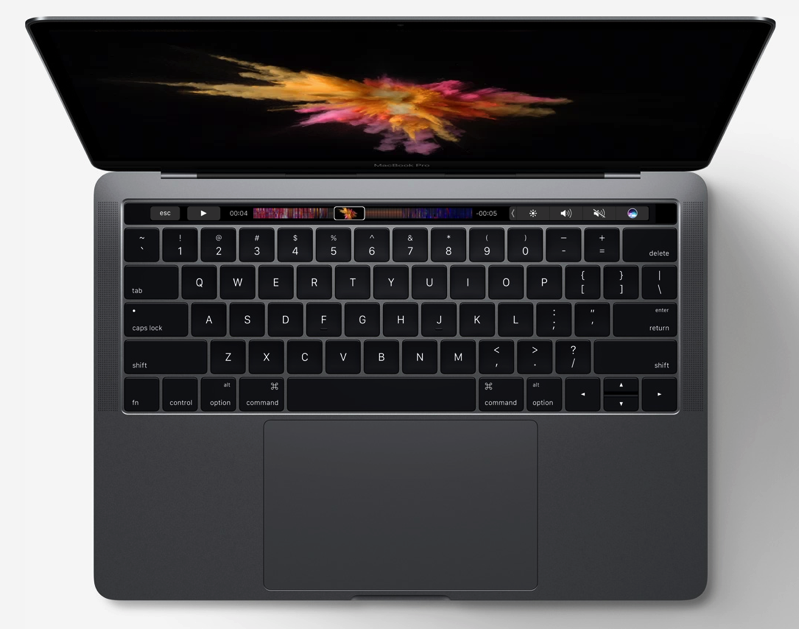 The team’s focus was to combine touch- and display-based inputs with a mechanical keyboard, and the Touch Bar as we see it in this final product – the MacBook Pro – is “the beginning of a very interesting direction, but still just marks a beginning”, Ive says. I feel very strongly that you cannot separate form from material, from the process that forms the material. Those have to be developed incredibly coherently and together. Which means that you can’t design in a way that’s disconnected from how you make [a product]. So that’s one important relationship. While creating something different is “actually relatively easy and relatively fast, and that’s tempting”, according to Ive, replacing the display with a multitouch panel isn’t the Apple way, he concludes. Of course, he has technical information on that, but he didn’t go into detail, because it would reveal things they are currently working on. You can read the full Q&A with Jony Ive on CNET.